Michael has delicious memories of his mother’s pies, and this is a favorite of hers, not just because it tastes good, but because it’s easy. There is only one crust to roll out, and she used to make them in assembly line fashion during apple season, then tightly wrap and freeze them to pull out as a quick dessert. It’s also an easy pie to make with kids, and I had some assistance from my little chefs. My five-year-old helped roll out the crust, decorate the edge of the crust, pour in the apples, and sprinkle on the crumb topping. He was quite proud of himself! The baked pie looked great until Monkey Boy found it on the counter and started pulling bits of the crust off. After that we decided to call it a “rustic pie,” and no one seemed to mind when it came time to enjoy a slice. We like to make this with Granny Smith apples, but any firm tart apple will do. Susan of Sticky, Gooey, Creamy, Chewy is celebrating her first blogoversary this month and having a virtual bash to celebrate. Where I come from we always take dessert to a party and pies are high on the request list, so I’m sharing my pie with Susan. Congrats on your first year of blogging! Prepare the pie crust and put in refrigerator for at least 1 hour. 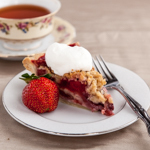 After the pie crust has chilled, preheat the oven to 400° F/200° C.
In the bowl of the food processor, add all the ingredients for the crumb topping and pulse about 10 times, until the mixture is crumbly. In the large mixing bowl, whisk together the sugar, flour, cinnamon, nutmeg, and salt until thoroughly mixed, then toss with the apple slices. Mound the apples high in the middle and dollop with pieces of unsalted butter. Cover the crust edges with aluminum foil to prevent burning. Sprinkle the crumb topping over the apples and press down slightly. Bake the pie for about 50 minutes, but check progress at the 45 minute mark. When the crust and crumbs are golden, remove from oven and allow to cool about 30 minutes before serving. Serve warm with ice cream or whipped cream. You can freeze the pies before baking them. Press a layer of plastic wrap over the surface of the pie and then wrap the whole thing well in several layers of plastic wrap. Freeze for up to 3 months. Bake frozen pie for 60 to 75 minutes. Use a whole wheat pie crust. 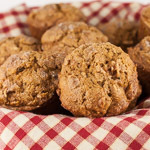 Substitute whole wheat pastry flour for the unbleached all-purpose flour in the crumb topping. Gosh that looks great Andrea and I’m impressed with only 3/4 c of sugar. So many fruit pies are more sugar than fruit. Looks like the topping would have a little crunch which I would love. This looks awesome…can imagine the taste of this…. That “rustic” pie looks luscious [G]. Andrea, I also have a young boy with very busy fingers. But, just think, while the pie may have only lasted a few hours, the memories will stay with your little monkey forever. ttfn300, Monkey Boy did love that pie, whether I had cut it or not. I guess we are lucky he didn’t put his whole hand in the middle of it! Marysol, little boys keep us very busy, don’t they? Ugh – I need to get my post up for that! I keep forgetting!! I love these kind of pies… we call them Dutch Apple. They are sooooo good! 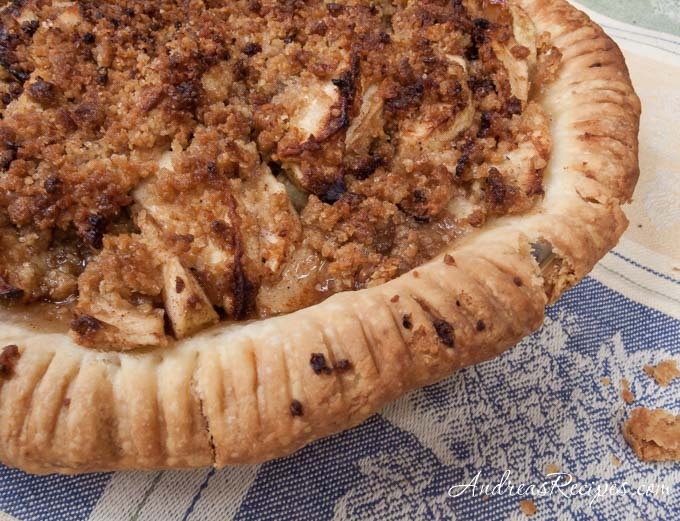 Looks amazing…and since I recently overcame my fear of pie crust, I might have to give it a try! I’m ready for apples! I need to get out to pick some so we can have 20 pounds like last year. 🙂 This looks great. I love fall food. Thank you so much, Andrea! The pie looks awesome! It is going to be a huge hit on the buffet line! 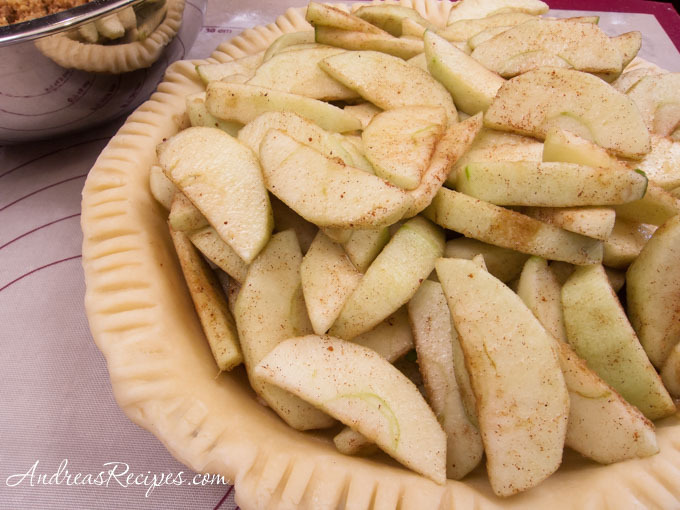 This looks so good, I can’t wait to put the first baked apple pie this Fall in the oven! A scoop of ice cream, and I’d swoon. The crumb topping sounds perfect. 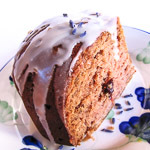 That looks so yummy! Much better than (I’m hugely embarrassed) my Mrs. Smith’s that I had. We have an apple tree, so does my mother–so at each year at apple time, we have tons of apples and need new apple recipes. After baking this, my family and some friends who ate this said it was the best apple pie ever, hands down. ON epie was not enough. The crunch on top makes it very rustic and the butter makes it oh so français. My husband says, “Lethal.” You get 5 stars from Berkeley’s Gourmet Ghetto!